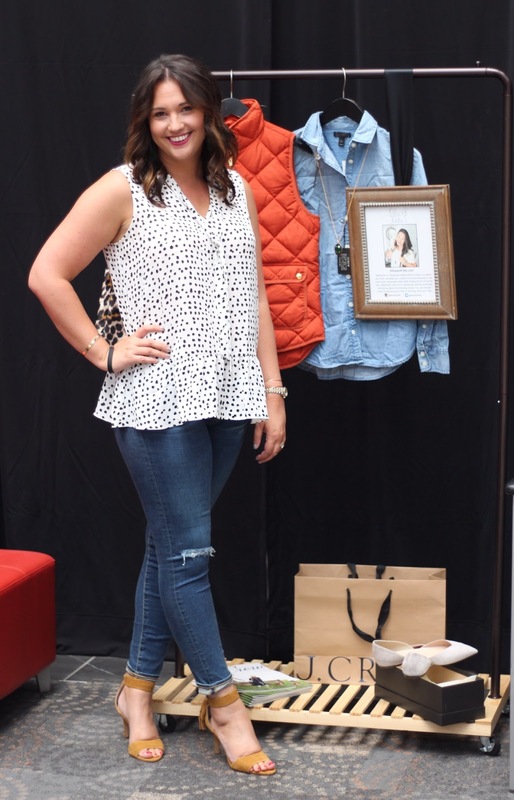 Dressing the Mom Body: Denim Dupe! Get excited ladies, today we're talking about jeans! It's been a while, but I am happy to report that I have found the best denim dupe ever - and you don't have to bother trying them on under those heinous neon lights if you don't want to - I've done it for you and lived to tell the tale. As you may recall, I once tried on pretty much every damn pair of denim in Old Navy to find the right pair for my postpartum shape (and documented the entire ordeal for the world) so I have no shame when it comes to finding a good pair of denim. But this particular dupe snuck up on me. I was shopping for the 50 Styles in 50 States Old Navy challenge (so while this post is not sponsored, I did find this pair of jeans while shopping for a sponsored post #FTC) when I grabbed a pair of jeans to try on a top with. Once I slapped those babies on my body, I knew this pair was a good thing. So here's the deal: as it turns out, the Old Navy Mid-Rise Rockstar Skinny Jean in Silverwood is a dead ringer for the cult fave AG "The Legging" Ankle Jean in 10 Year Recreation. Yeah, you heard me, that amazing pair of jeans that shows up in basically every single one of my Instagrams can be duplicated with a $35 pair of Old Navy jeans. The wash looks a little lighter in these gorgeous shots by Christa Rene Photography, but trust me on this one. Mid rise (that holds in my muffin top), slightly distressed (but not enough to make me look like a teen wannabe), dark wash with little whiskering on the thighs, and an ankle length perfect for flats or booties - what more could you need? Now, go forth and conquer that denim, mama! THANK YOU FOR THIS! I just bought them :) With today's promos, I think they came to less than $25! I love the mid rise. So necessary! I have found quite a bit of luck with Old Navy jeans lately. I'll definitely try out this cut! And hi, we are poncho twins! !